More details regarding a dispute between a Carousell user and Stomper Y, who received $29 worth of coins as a refund, have emerged. 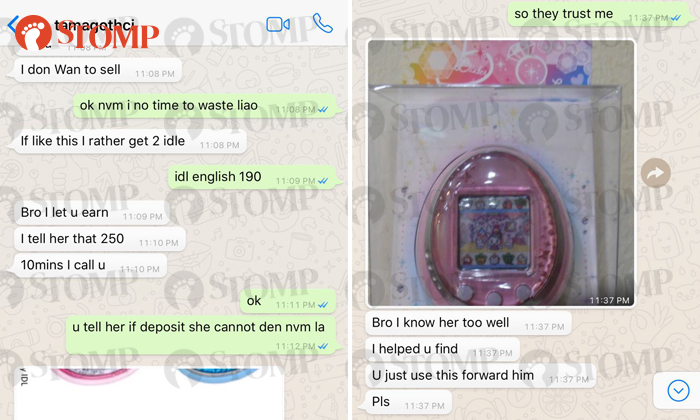 In an earlier May 8 report, Stomper Y shared how she had wanted to purchase a vintage Tamagotchi from a Carouseller and transferred him $40 on April 13. However, the deal fell through and both parties agreed to a refund on April 26. When they finally met up at Khoo Teck Puat Hospital on May 7 to do the refund, Stomper Y was given a bag of coins and a $10 note. Stomper Y, who was so upset by the encounter that she cried, said the bag of coins amounted to only $29. This meant that the refund was $1 short of $40. 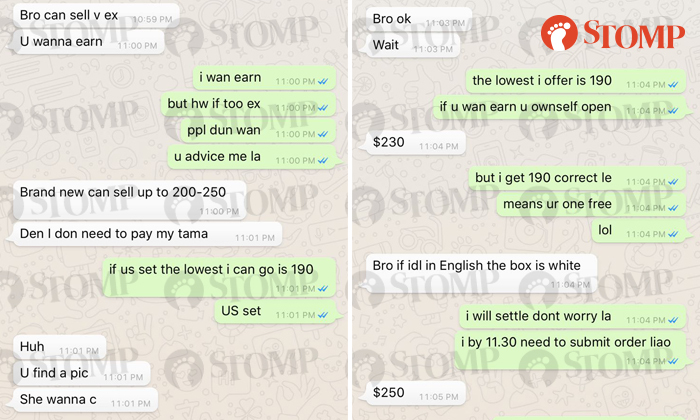 On May 9, a person who identified himself as a friend of the seller contacted Stomp and said Stomper Y had not been entirely forthcoming. 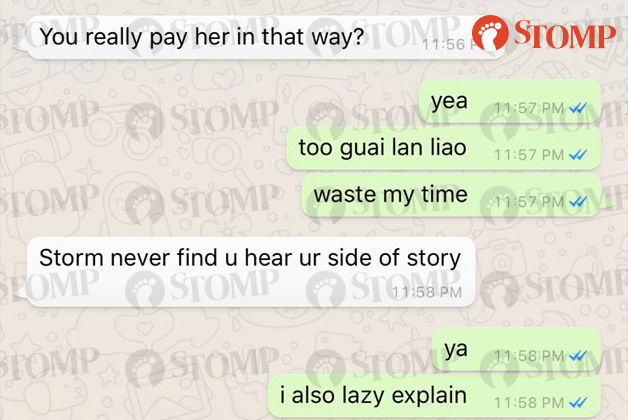 He also sent Stomp more WhatsApp screenshots showing various conversations between the different parties involved. It was earlier reported that Y's friend was also interested in purchasing a Tamagotchi and was looking for a more expensive model that cost over a hundred bucks. Due to concerns over the seller's legitimacy, Y's friend did not go through with the deal. The friend received what is believed to be a full refund of $125 on April 24, though Y said she was not informed of this until much later. 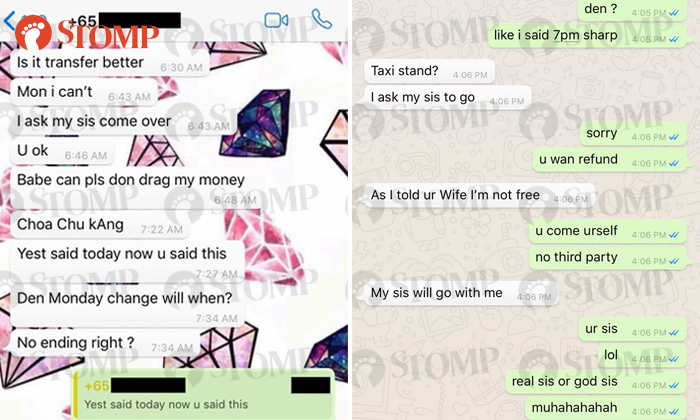 Y had told Stomp: "My friend kept quiet without let me know. I will stay away from her. If she was a true friend, she wouldn't have treated me like this." Screenshots now show that Y had apparently tried making a profit by being a 'middleman' for her friend and the seller. 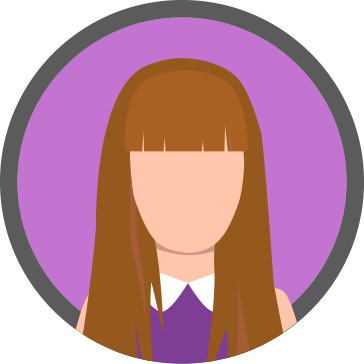 It appeared that Y had asked the seller if he wanted to "earn" a profit and suggested quoting her friend a jacked-up price. The extra money could then be used to offset Y's own $40 Tamagotchi and she would not have to pay for it. The seller told Y that she could do the quoting if she wanted to "earn", and that he just needed to receive $190 for the sale of her friend's Tamagotchi. Knowing that her friend wanted a Tamagotchi in pink, Y also apparently found an online picture that showed something similar and told the seller to send it to her friend. "I know her too well," Y had said. It is unclear how much Y eventually quoted her friend or whether Y made a profit. 2. Stomper Y reportedly told the seller that she was a "police officer"
It is unclear why Y said this. Stomp is unable to confirm her occupation. Y had earlier told Stomp that she was on medical leave from 4 May 2018 to 4 Jan 2019 due to personal reasons and that the dispute had caused her further distress. She also provided a copy of her medical certificate which stated that she was temporarily unfit for work. Despite repeatedly stating that she was sick and requesting for the refund to be transferred to her, the seller and his wife insisted that Y meet them in person. According to Y, the seller had said that he "did not know" how to do a bank transfer and had also changed the meetup date multiple times. Screenshots show how the seller had continued mocking Y, asked her if she "wanna play again?" and said to meet him at Khoo Teck Puat if she wanted her refund. Seemingly unsympathetic to her plight, he also told Y: "You want refund, you come yourself, no third party." 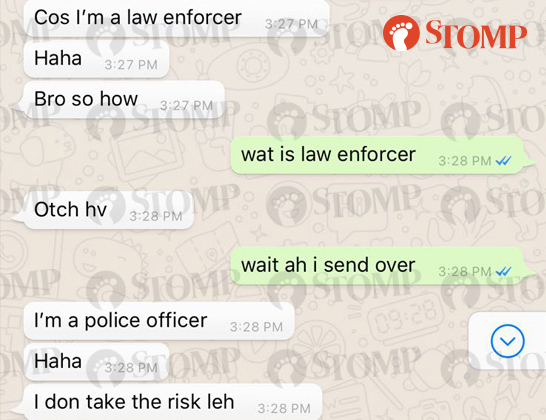 The seller's friend who contacted Stomp had spoken to the seller regarding the incident. Asked if he really refunded a bag of coins to Y, the seller said: "Yea, too guai lan liao [meaning 'annoying'], waste my time." Y and the seller appeared to have had another conversation following the original Stomp article about the dispute. 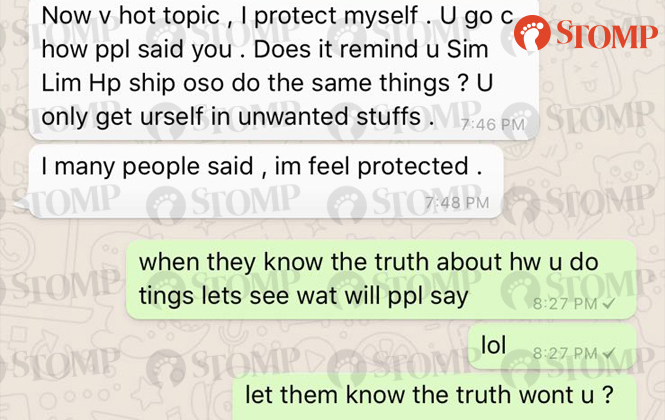 Stomper Y said she "felt protected" by netizens who commented on the incident and spoke up for her, while the seller mentioned a "truth" and told Y to let people know about it. Read all the screenshots in the gallery. Carouseller leaves woman in tears after refunding her $29 in coins: "I wanted to give all 5 cents"
Buyer who didn't receive item after paying $16 shares "signs you are getting cheated online"